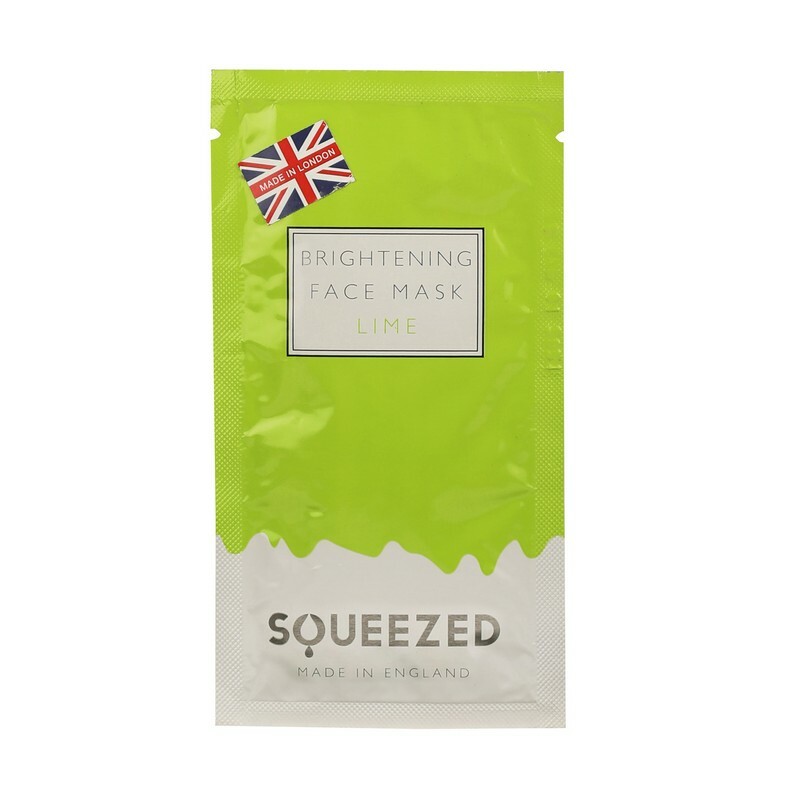 A face mask enriched with limes that help brighten skin tone. 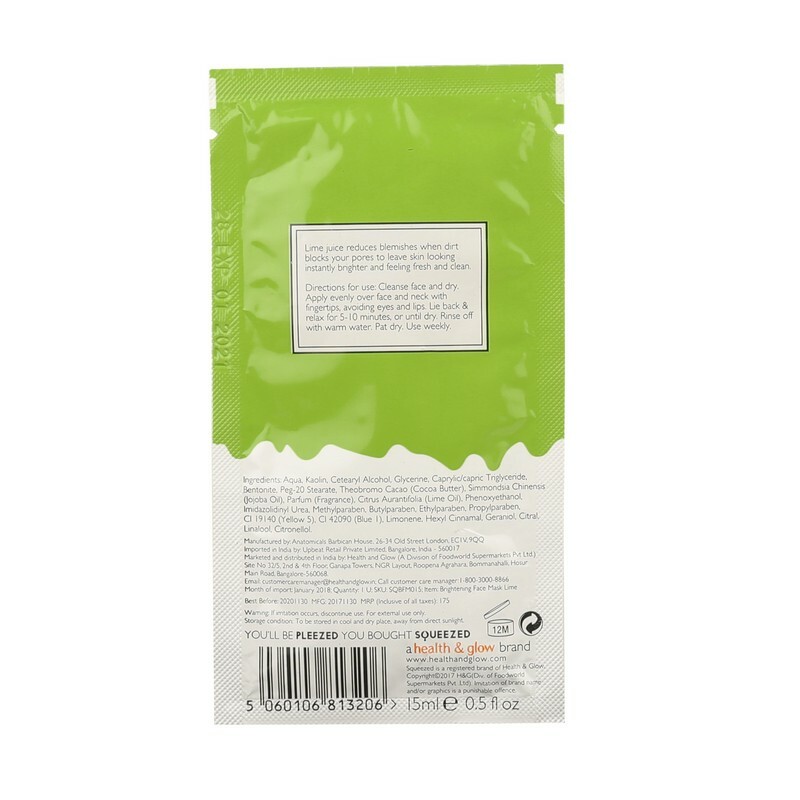 The natural fruit extracts in the face mask reduces blemishes and soothes irritated skin. Aqua, Kaolin, Cetearyl Alcohol, Glycrine, Capric/ Caprylic, Tryglyceride, Bentonite, PEG-20 Stearate, Theobromo Cacao(Coca butter), Simmondsia Chinensis(jojoba oil), Parfum(fragnanace), Citrus Aurantifolia(Lime Oil), Phenoxyethanol, Imidazolidinyl Urea, Mehtylparaben, Butylparaben, Ethylparaben, Propylparaben, Cl I9I40 (Yellow 5), Cl 42090 (Blue I) , Limonene, Hexyl Cinnamal, Geraniol,Citral Linalool, Citronellol.